Gold Star Mothers Day is celebrated in the U.S. On the last Weekend of September. It is to remember the mothers who lost there sons & daughters in combat. To show that their sacrifice is not forgotten. 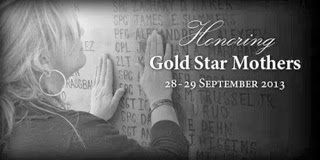 To learn more about Gold Star mothers please click the link.